I'm super excited to share a fun collaboration with you today! I've teamed up with the beautiful Amy from Coffee Beans and Bobby Pins to show you two different ways to style polka dots. The main thing I love about this is that it's really not a trend at all--it's acceptable anytime of year, during any season. You can dress polka dots up or down and even better, mix with other fun prints! If you haven't already, stop by Amy's blog and check out her super cute style! Have a lovely day and thanks for reading, xo! Polka dots have ALWAYS been a fave for me. Love this top! Ohh and I LOVE those shoes!!!! I love this outfit! It is so bright and girly-- and that necklace is amazing! I Love polka dots year round! That peplum top is too cute!! And I love the necklace! Omg that color is amazing on you! Polka dots will always be my favorite. . .
J. Brand honestly makes the best pants! You can almost tell from a distance if they are that brand or not. And your top is exquisite! I'm loving that peplum top! Love how you styled this top, I have the same one and wore it to Disneyland last year for a minnie mouse inspired outfit! 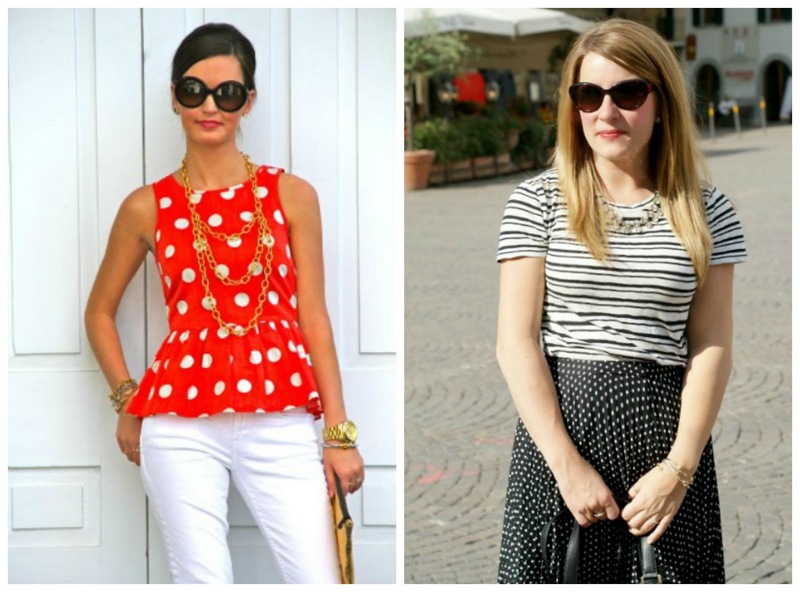 Love your sunnies and peplum top.